Fall has returned to the Northwest. I can already feel that little chill in the air, telling me that shorter days and grayer skies are indeed on their way back. I don’t really mind the Fall. In fact I’ve always enjoyed the cooler weather (especially after a particularly hot Summer) and the grey skies. 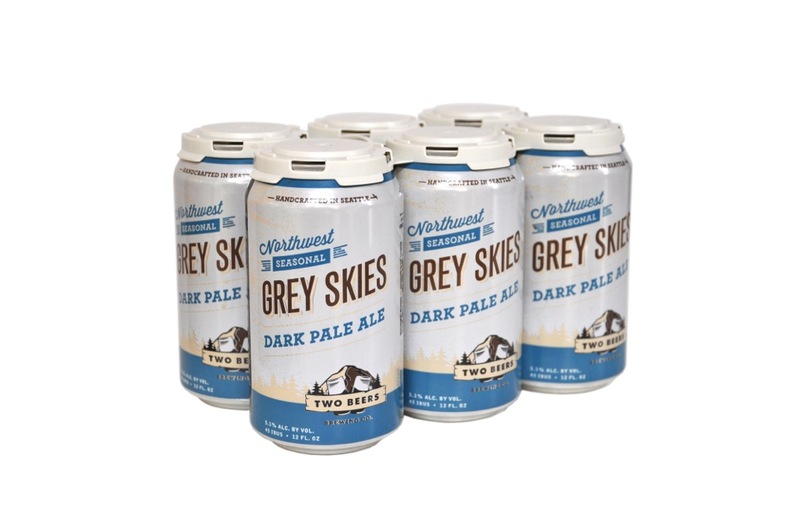 Now, Two Beers Brewing Company (CBM Sponsor) has given me yet another reason to enjoy the return of Fall: Grey Skies Dark Pale Ale. I know, I know. 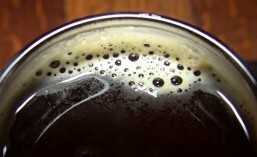 Don’t get me started on the whole ‘Dark Pale’ thing (perhaps it should be called ‘Cascadian Pale Ale’ – similar to the term that was settled on for what used to be called ‘Black IPA’ (now ‘Cascadian Dark Ale’ or ‘CDA’)). 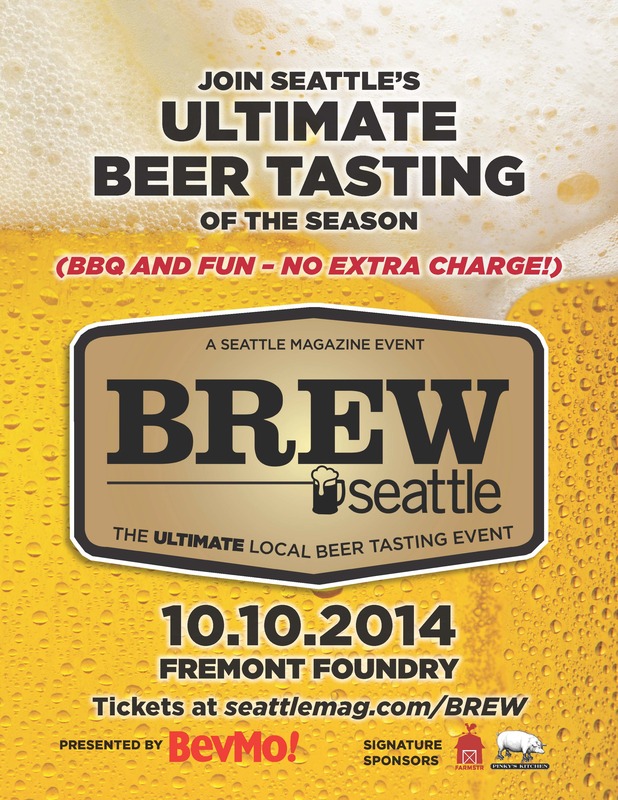 Last October, I told you about Seattle Magazine’s BREW Seattle, the first Seattle beer festival that was made for Seattle Breweries only. Last year’s event took place on November 14th, 2013, hosting 22 Seattle breweries and featuring food from several different Seattle eateries, including: Chopstix, El Camion, Naked City Brewery & Taphouse, Pinky’s Kitchen and more. You can view more photos from last year’s event HERE. At last year’s event, attendees had the opportunity to vote on Brewery of the Year. In 2013, that honor went to Big Al Brewing, who will be returning as this year’s defending champion. Will Big Al be able to retain their title for 2014? Why not help decide. This year’s event takes place on October 10th and will feature over 25 Seattle Breweries and even more great local food. Are you ready for some football? I – can’t – hear – you! ARE YOU READY FOR SOME FOOTBALL!? As I’m sure you know, the Seattle Seahawks‘ home opener is this Thursday the 4th. Football fans around the Sound and around the nation have been eagerly awaiting this day and the start of the Seahawks’ march towards another Superbowl victory. Also making its return on Thursday the 4th is the beer formerly known as ‘Skittles 12th Man IPA’. As you probably know, both Skittles candy and Texas A&M didn’t think too highly of that name so the brewer, Foggy Noggin Brewing, decided to change its name to Cease & Desist IPA; very clever. Black Raven Brewing Company (CBM Sponsor), who was just named one of the Top 10 Up And Coming Beer Companies by Ask Men magazine, brews a wide variety of styles to compliment every season. 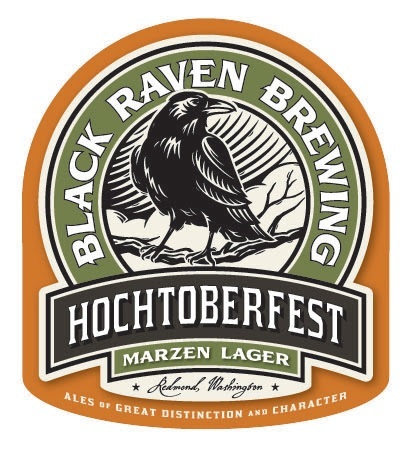 Now, with Summer starting to fade and Fall hot on its heels, Black Raven is preparing to release their Fall seasonal lager: Hochtoberfest.